Highly recommended by gun enthusiasts and gunsmiths over any other brand. Mirror like finish is guaranteed to blend perfectly into the original blueing and leaves no streaks or spots. Will not rub off or discolor. 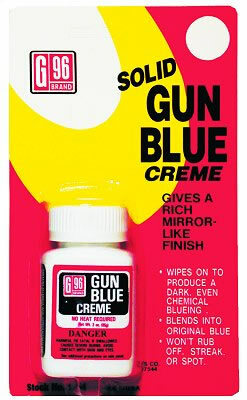 For best results, clean with a gun degreaser and finish with G96 Gun Treatment.